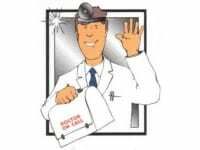 Double Glazing Doctor has been established for over 25 years. We are the first choice for Double Glazing Repairs and all Double Glazing Problems. There is no need to replace when you can repair. We fix everything from a dropped door or window to replacing misted units, locks, handles, hinges and patio door wheels and tracks. We also specialise in tilt & turn / slide windows and doors. Our aim has always been to provide efficient and fast response fixes for our customer with outstanding quality. Our friendly and helpful team are here to help you. We accept nothing other than full customer satisfaction before taking payments for any finished jobs. Please call us for a free quotation and speedy repair. Replacement of tilt and turn window handle. I contacted the company on 1st Oct for a replacement of window handle on a tilt and turn window at my flat in South Harrow. Mr. Zoher replied immediately to my call and visited the flat in the very same afternoon. He replaced the window handle while calling me as to the progress from the flat. He recorded a video on the completed job and sent me the video and receipt. I am very happy with the professional service and will recommend Zoher . His level of service is impeccable and quality of work is excellent. The time to complete from first contact to completion of job in less than three hours on the same day. Fast response, great customer service, Great quality and accurate work and very reasonable prices 100% would use double glazing for all future jobs! Window would not open as the internal locking mechanism would not retract (snapped off due to wear and tear). Contacted a few company's who said they couldn't fix it. Then came across this one and I'm glad I did. Came round the same day and managed to fix it on the spot. Quick and efficient service, would definitely use again for any other window problems .